Home » Biohacks » Brain Hacking With CILTEP: Say “Yes!” To Smart Drugs. Brain Hacking With CILTEP: Say “Yes!” To Smart Drugs. If you're of a certain age (by which I mean: if you have any high school or hazy dorm room memories of the Reagan presidency) then you probably wasted a good amount of time in front of a tv set, waiting for the latest music videos from Prince, Madonna, Boy George, or The Bangles to show up on screen. Occasionally, government mandated Public Service Announcements would appear –– usually to deliver a health related message of some sort –– with the most famous PSA from that era featuring a somewhat dour man who, while frying up an egg in a skillet, would tell us all that the egg somehow represented a brain ("this is your brain" he would intone), and that the hot skillet represented drugs. And the chances are pretty good that –– after watching the ad –– that you really wanted to fry up some eggs. Or (wink-wink and air quotes) "fry some eggs." Anywhoooo… What the hell is my point with this flashback into ancient history? I'm going to advocate doing drugs. Now, before the DEA comes crashing through my front door without a warrant and starts smashing all my personal belongings, I want to clarify things a bit and say that the drugs I advocate doing are totally legal (here in the United States, at least), and that no prescriptions of any sort are needed. I also want to be very upfront and say that I am not a doctor, physician's assistant, nurse, nor involved in anyway with the medical profession, so please take the advice and commentary that follows as simple opinion. Please do not –– DO NOT –– take this as professional medical advice. So, anyways… In my humble opinion, I think that it's a very smart idea to take "smart drugs." Yeah… Drugs that can potentially and –– for many people out there –– actually do make a person smarter. Now, if you're a fan of science fiction, you've probably seen the movie "Limitless;" a film in which Bradley Cooper –– an aimless and struggling writer –– becomes a brilliant Wall Street mogul after improving his brain power with the pharmaceutical drug NZT-48. It's actually a fun lil' movie, and worth downloading from Amazon or iTunes. You might also remember the book (plus absolutely horrible movie), "Dune," and the mental characters –– human computers –– who fueled their brains with sapho juice. 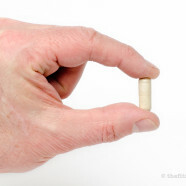 But coming back to reality and science fact, there actually are a variety of drugs and supplements –– commonly referred to as "nootropics" –– that can increase a person's mental abilities, focus, energy, and drive, and which do so with minimal side effects. Myself, there are two very specific nootropics that I'm an advocate for, and which I use on a regular basis. The nootropic that has the most impact on my ability to think, focus, and recall information is a relatively new supplement –– one that's been talked about on various online forums for the past two years –– and it's called "CILTEP." CILTEP stands for Chemically Induced Long TErm Potention. Fancy words that roll right off the tongue, huh? In laymen's terms what this acronym really means is: "special chemicals and herbal extracts can help you remember stuff." The truly amazing thing is that it –– CILTEP –– actually can help you to remember stuff. By the way, if you feel like diving deep down an internet rabbit hole, here's a link to the forum thread where the concept and formulation for the nootropic first got its start. 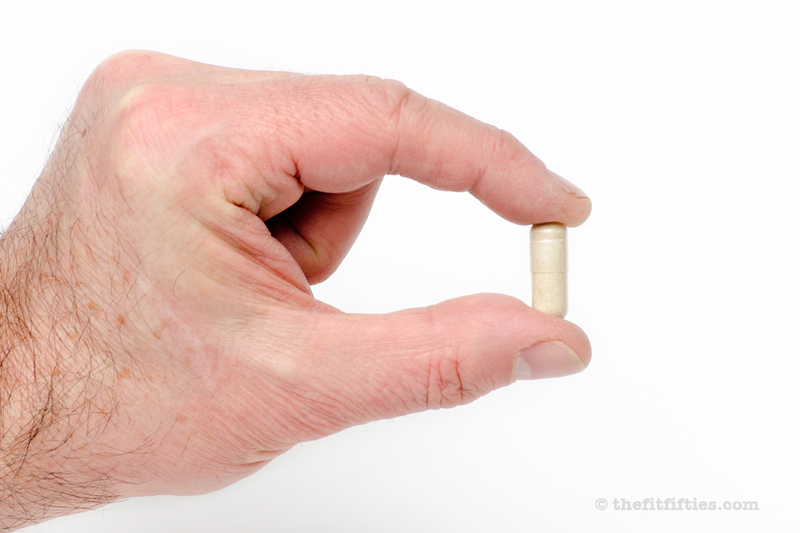 And if you really would like to make your own version of the supplement, plenty of information about ingredients, ratios, and dosages can be found within the 79 page-long thread. Myself, I appreciate the mental focus that the supplement gives me, along with a real sense of drive and motivation to get things done. 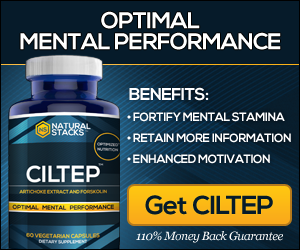 Most important (and this is something that absolutely shocked me when I first noticed it happening), regular use of CILTEP™ has dramatically decreased the internal chatter –– the non-stop stream of random thoughts and sounds –– that plays inside my head. To make a simple (though scarily accurate) analogy, imagine going through life with the constant sound of two or three low-volume, fuzzy, poorly tuned AM radios within your skull, switched on all hours of the day and night. Okay... Given that scenario, now imagine the constant buzz of static and noise being dramatically reduced in volume, and sometimes even going away. That's EXACTLY what CILTEP™ does for me. The static and noise –– even when it doesn't go completely away –– is dramatically reduced in volume. And though I won't go out on a proverbial limb and say that CILTEP™ use is making me smarter on it's own, I am willing to say that the reduction in brain chatter allows me to concentrate longer and more intently on topics I find interesting. Let me also say that –– along with the reduction in brain chatter and an increased ability to concentrate –– that I find it much easier to pack away large quantities of information inside my skull AND that I have a slight but noticeable improvement in long-term recall. To summarize: CILTEP™ use isn't making me smarter, per se, but it is providing me with energy, motivation, and the ability to focus and deep dive into topics I find interesting. And isn't deep focus (along with energy and motivation) really the sort of thing that makes a person smarter? I welcome any and all comments, questions, and inquiries you might have. Hi Matt, love what you’ve written and can’t wait for future posts on nootropics! I see you are also a fan of Dave’s and I wanted to ask if you’ve had any experience with Provigil/Modafanil and if so, what kind of effects it had on you? Reg: Thanks so much for the kind words. And –– YES! –– there will be future posts about other nootropics. Regarding Dave Asprey, and his work: I’m more than happy to admit that I’m a huge, huge fan. Now, myself, though I don’t maintain a fully “Bulletproof” lifestyle (Hell… I eat beans), my diet is heavily influenced by Dave’s writings and podcast, and I’d like to think that much of my health (and I’m a pretty damn healthy guy) is due to the foods –– and quality of foods –– I choose to eat. I do use piracetam on a fairly regular basis (a 1.5 gram dose is typical), and think that it acts in synergy/catalytically with CILTEP. A future blog post will discuss my use of piracetam, along with another member of the racetam family. Woot woot! Nice post, Matt. I have done a fairly extensive one myself, but not with the personal focus as yours. I found that my usage of CILTEP made me more focused, but strangely also sleepy as well. I don’t know how to explain it! Glad to see you’re using piracetam regularly. 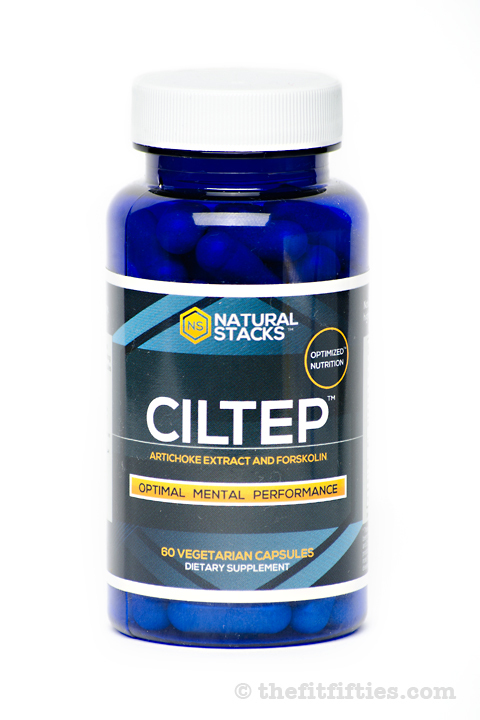 The CILTEP is supposed to stack well with piracetam. Eric: CITLEP is outstanding in its ability to help me stay focused throughout the course of the day. And the combination of CILTEP and piracetam is absolutely phenomenal: providing focus, a sense of evenness and calm, along with an increased ability to exercise at the gym. The only caveat I would give is that CILTEP, piracetam, and too much coffee (for me, more than two cups) is a recipe for the worst jitters imaginable. I used Ciltep as it was supposed to be used, 1 the first day, 2 the next, and after not feeling the effects, 3 in successive days. I really don’t feel any difference in concentration or motivation. I do not use Bulletproof coffee and feel that’s also overrated. 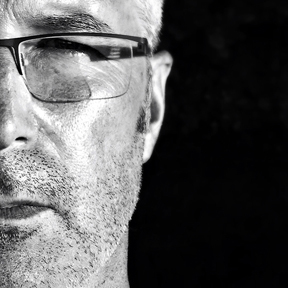 I was never a coffee person anyhow and at 55 I still train 5 days per week, am 6’2″ and have a >15% bodyfat throughout the year. I do not do anabolics, I am a healthy eater and maximize my rest and nutrition in many of the ways these “hackers” are doing, and have done for centuries. I commend Asbury and you for the information you provide, yet feel he’s gone off the deep end and become full of himself. This is of no use to you, but I feel his pompous, self-promoting approach can begin to harm people if they don’t do their homework on some of his suggestions. Pure, raw and natural are definitely the way everyone should be living, but if you’ve ever read “Caffeine Blues” by Stephen Cherniske you’d realize that coffee is as much a drug as any other, despite the popular culture’s acceptance and promotion of it. It’s negative effects are deep and far-reaching, but like sugar, the people making money off of it would never admit its detriment. I should be listing this opinion on the Bulletproof site, and I apologize for sounding off here. I hope to hear more from you and will continue to watch for your research on future topics. Tom: Everybody has a different reaction to nootropics, coffee, sugar, wheat grass juice, water, etc… Myself, I think my body is hyper-reactive to stimulants and hypo-reactive to depressants but, again, that’s my body. Your mileage may (and likely will) vary. Regarding Bulletproof Coffee, I have to admit that I’m not a fan of the beans Dave Asprey is selling. I personally find them to be waaaaaaaay under-roasted, without any real robustness to the flavor. On the other hand, I’m a huge fan of the Tango Blend Roast that Café Mam sells (https://www.cafemam.com/coffee), and combine my coffee with butter, coconut butter, coconut milk, and cinnamon each and every morning. It’s an absolutely delicious combination, and provides enough calories and fat to keep me going till about ten or eleven o’clock in the morning –– when I actually have my first real meal of the day. Do some people drink too much coffee? Hell yeah… And I used to be one of those people. Two cups per day is now my limit. Anything higher than that turns me into a twitchy fool. Dave Asprey? He’s a very smart guy who’s also very good at marketing. I commend him for that. Is he also a bit of a self-promoter? Yes… Indeed. On the other hand, if the information he’s giving out is solid, backed by a good amount of research, and (this is most important) will do no actual harm to a person, then I’ll ignore the self-promoting aspects of his blog and podcast and seek out the gems. Lastly, if you’re training five times a week –– and I assume this means that you’re going to the gym five times a week –– you’re probably overdoing it. Try doing cyclical workouts, where you have a weight day, an intense aerobic day, a weight day, an aerobic day, etc… And be sure to stick at least one rest day in there per week, if not two. Resting up is just as important as working out. Hey Matt, Ryan here- found you on Dave’s site. I wanted to give you a suggestion for a replacement to Bulletproof coffee, as you don’t like the beans. Check out Yerba Mate- you can buy it off Amazon. 1 teabag will replace 1 cup of coffee with clean, focused energy- NO JITTERS. I just started taking CILTEP so I’ll let you know how the two synergize. Ryan: Wow! That is some really weird (or serendipitous) timing… I drank a decent-sized cup of Yerba Mate tea yesterday afternoon –– after taking a CILTEP and dose of piracetam in the morning –– and it really did give a nice, clean, “focusy” buzz, without any sort of jitters. The only problem I had with the brew was that I really didn’t enjoy the taste of the yerba mate all that much. The flavor had a bit of a bitter tinge to it, and there just wasn’t any robustness to the beverage, or –– at least –– not the sort of robustness I’d associate with a black tea or dark roast coffee. As I’ve mentioned before, I do love my coffee with butter, coconut butter, and coconut milk in it (a pinch of cinnamon, too), though I’m just not a fan of the Bulletproof roast: Dave’s beans are just way too under-roasted for my tastebuds. Now, if he were to offer a darker roast, that would be a different story, and I’d probably be ordering off his site on a regular basis.